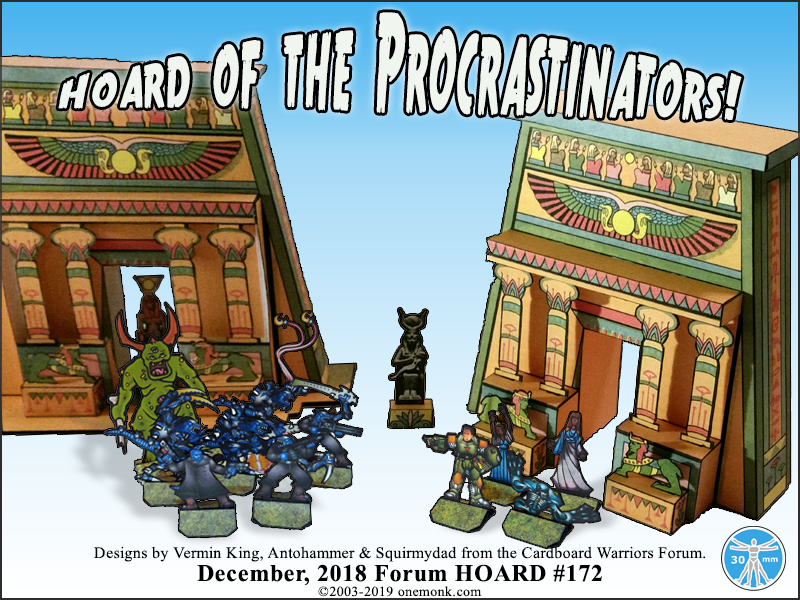 One Monk Miniatures: Forum Hoard #172 - Hoard of the Procrastinators! Forum Hoard #172 - Hoard of the Procrastinators! Thrill to the adventures of Lieutenant Flat Dan and his trusty sidekick Skelly as they rescue the sacrificial maidens from the monstrous cult that lurks in the Temple of Isis! Better than later never, it's the Hoard of the Procrastinators!